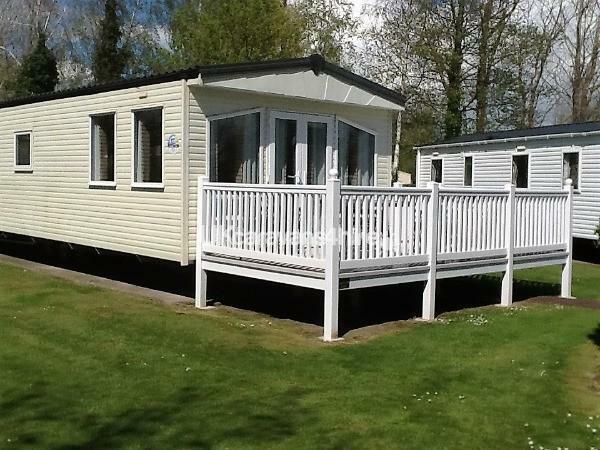 We require a deposit with the balance to be paid 6 weeks before, passes are not included but are available in reception. 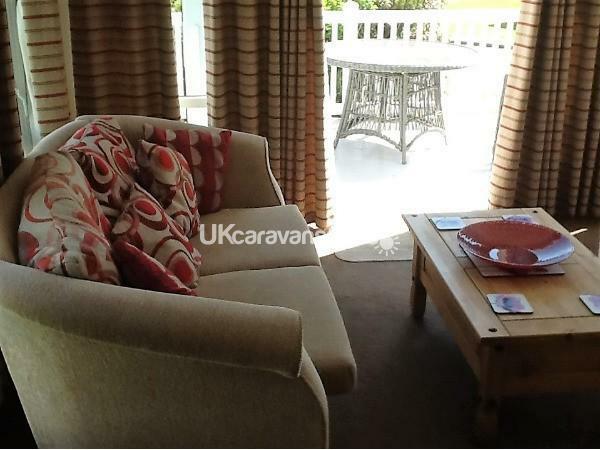 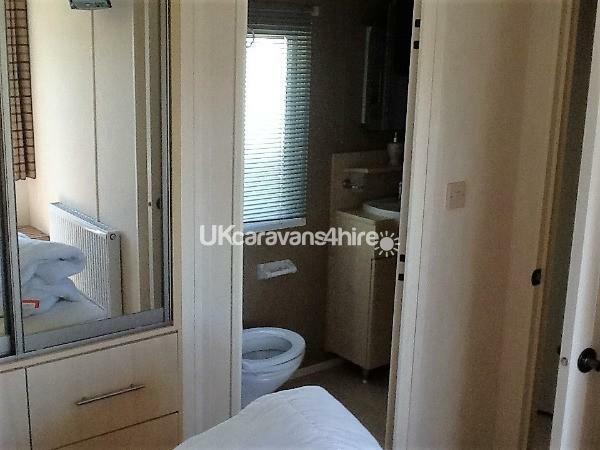 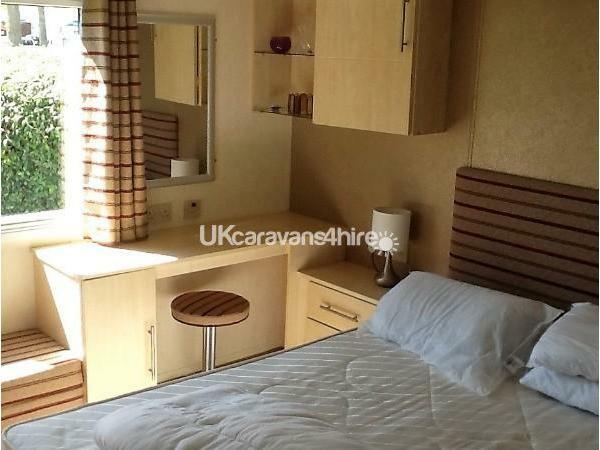 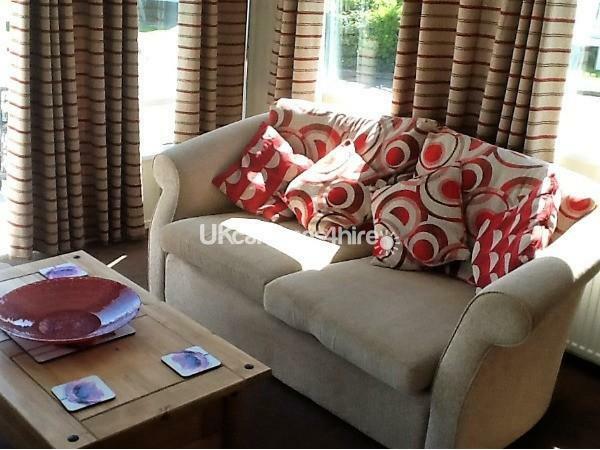 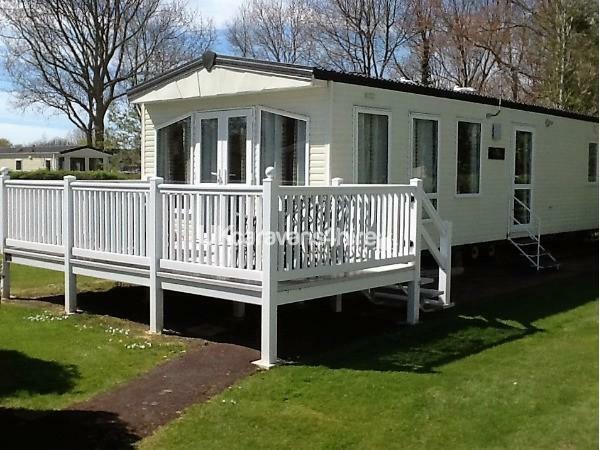 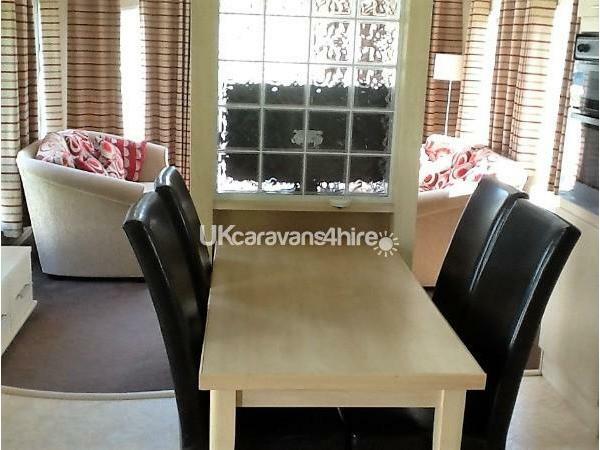 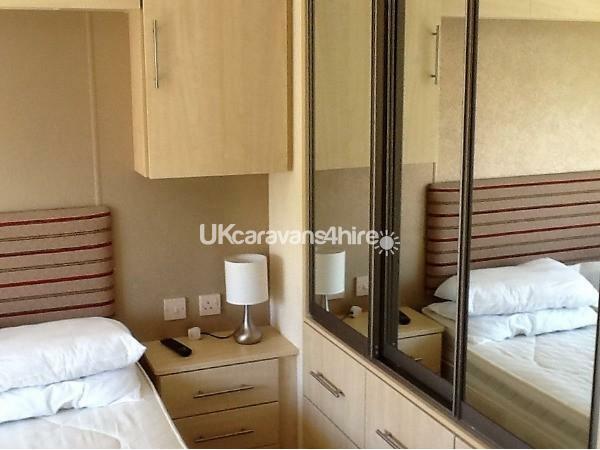 6 berth, 2 bedroom, luxury caravan for hire on Burnham-on-Sea Holiday Park. 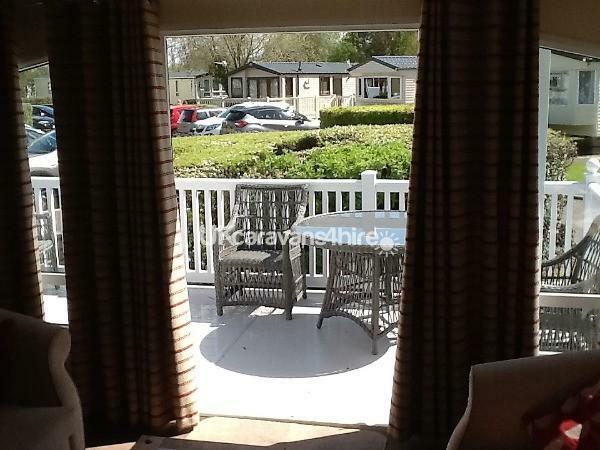 We have a master bedroom with en-suite bathroom, twin beds in the second room, pull out bed in the lounge, extra comfortable seating, T V, table and chairs, large patio doors leading out on to the veranda with large table and chairs. 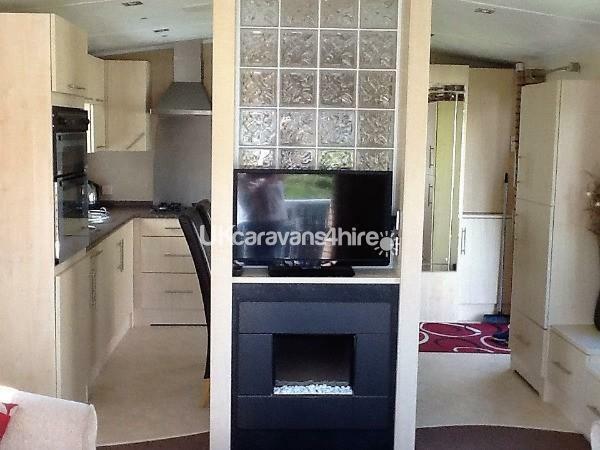 In the kitchen area we have a dishwasher, microwave, oven and hob and all the other usual utensils.